From Merci to Merzci, nothing but the best in Pasalubong Treats!!! 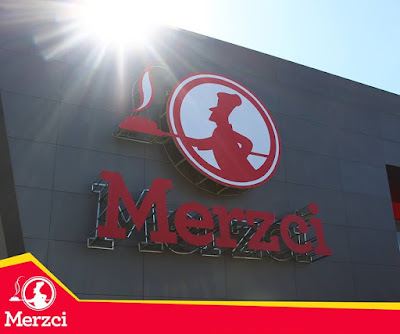 MERZCI is the trade name of CM & SONS FOOD PRODUCTS, INC. It is the leading bread and food pasalubong producer in Bacolod City and the island of Negros. It carries a wide array of product lines, namely, BAKESHOP, FAST FOOD, PASALUBONG, and PURIFIED WATER. In 2014, following its trademark application with the Intellectual Property Office of the Philippines (IPO), the trade name got updated from Merci to Merzci. With the update in the name, came the upgrades and improvements of the company to produce better products and services to its customers. Thus, launching the brand in October 2014 as “The New and Improved MERZCI”. The addition of the letter Z in the name signifies that the company has been gearing up and focusing on targeting the GENERATION Z as the main market of its products and services. Customers can expect more from the company in the succeeding years – new products, more branches, improved customer service, and new ways to experience, share, and be part of MERZCI. Merzci Bakeshop, Merzci Pasalubong Treats, Merci Purified Drinking Water and Vitalife Purified Drinking Water produced by C.M. & Sons Food Products, Inc. received the Dynamic Growth (Model Entrepreneur) Award presented by the Metro Bacolod Chamber of Commerce and Industry (MBCCI) in its Achievement Awards for 2011. Team Merzci gives back too. They initiated a relief operation for the victims of the 6.9-magnitude earthquake in Negros Oriental in 2012. They also helped the victims of the Banago Fire that devastated over a hundred family houses in 2013. As of Jan 2018, the company is manned by a 1, 600-strong workforce more or less, with each department effectively working together to produce and maintain quality products for its customers.